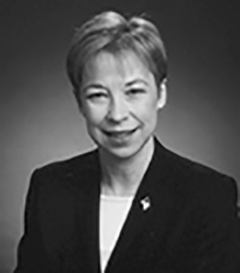 Susan Bock co-formed The Balser Group and Susan Bock & Associates in 2006 to meet the human resources needs of the small- to mid-sized employer. Prior to the creation of these organizations, Ms. Bock was a manager in the Southern California area Consulting Group of RSM McGladrey, Inc. She has over 30 years of experience in human resources and provides client services in the areas of compensation and benefits, performance management, and compensation and benefit compliance. Her earlier work experience includes HR management positions at Southwest Construction Materials and Services (now Lehigh Hanson), Ingram Micro, the City of Santa Monica, and FHP, Inc.
Ms. Bock earned the Certified Employee Benefit Specialist (CEBS) designation from the International Foundation of Employee Benefit Plans. She also has been certified as a Senior Professional in Human Resources (SPHR) by the Human Resources Certification Institute and is active in a number of professional organizations, including OCISCEBS, where she served as President. She earned her Master of Human Resource Management from the University of Utah and a Bachelor of Arts from Miami University. Ms. Bock is editor and a co-author of Mandated Benefits: 2017 Compliance Guide (Wolters Kluwer). She was a part-time instructor at Irvine Valley College, California, teaching employee benefits courses for the International Society of Certified Employee Benefit Specialists (CEBS) program.